I blame my recent obsession with red wine on the rain. I blame my obsession with the image above (courtesy of Cupcakes and Cashmere) on the insane amount of process mapping going on at work right now. Either way, this pretty much sums up my life at the moment, and I’m totally fine with that. 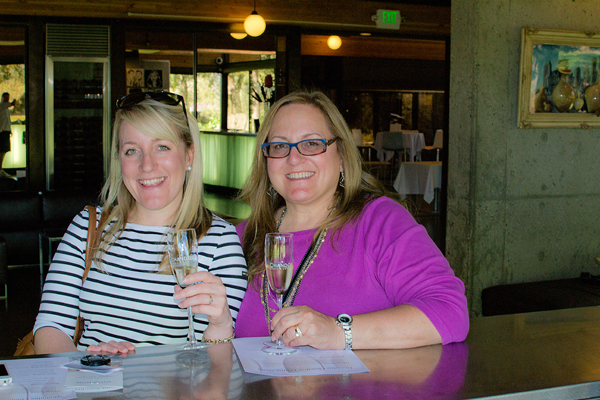 Our trip within a trip to Napa Valley was full of sunshine and sparkling wine, and even though we squeezed in five wineries in two days, it felt anything but rushed. We probably could have done a bit more planning (we mostly played it by ear), and I would recommend that anyone visiting Napa on a weekend do so, but since we were there on a Monday and Tuesday after harvest, everything worked out perfectly. 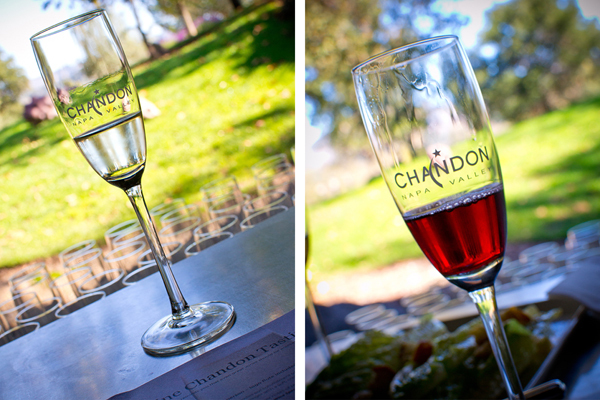 On an unseasonably warm 82-degree day, our first stop was Domaine Chandon in Yountville, where we sampled seven delightful sparkling wines in a gorgeous tasting room overlooking the vineyard. Our tasting was followed by a tour of the winery and a lesson in the méthode traditionelle — the same method used to craft champagne in France. 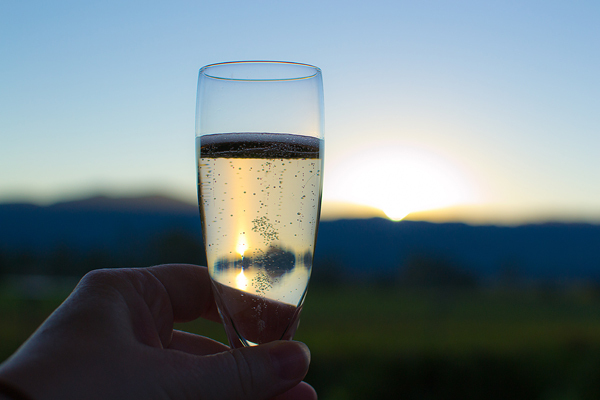 I’ve toured a few wineries over the last few years (including Williamsburg Winery nearby), but none that produce sparkling wines. 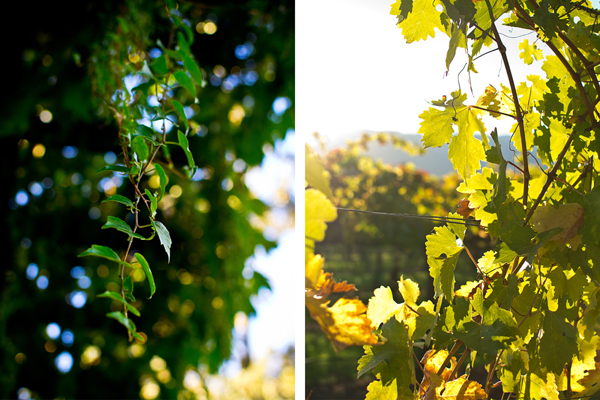 I loved learning about the types of grapes, the different fermentation methods, and the extra steps that go into crafting a quality champagne or sparkling wine. 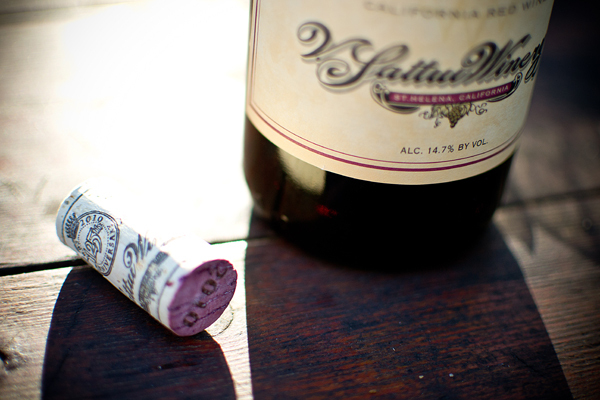 Making an educated choice next time I pop open a bottle will have me enjoying each sip that much more. 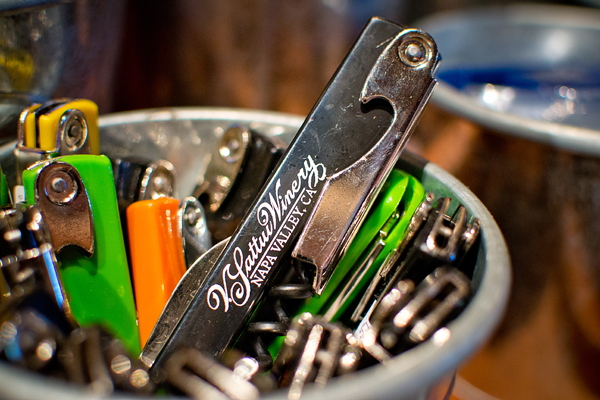 The V. Sattui winery itself has existed in Napa Valley since the mid-1970s, but the family’s wine-making business has an interesting history dating back to 1882. Perhaps that explains the older, authentic and established feel of the winery. 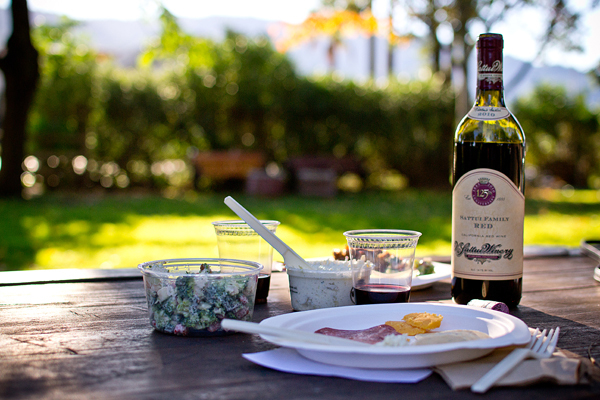 At V. Sattui, we picnicked near the vines, amidst the crew crushing grapes. 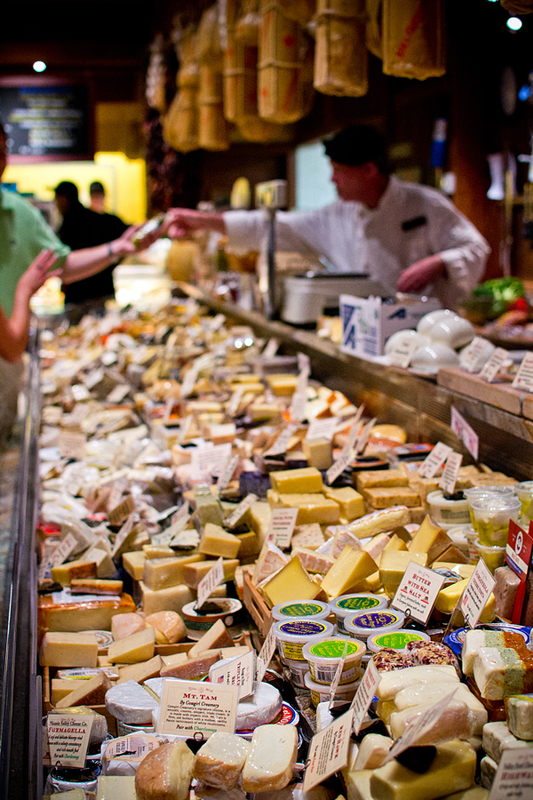 We snacked on New Zealand sharp cheddar, Molinari hot salame, homemade Formaggio di Carciofo (artichoke cream cheese), broccoli salad, crackers, and a bottle of Sattui Family Red. 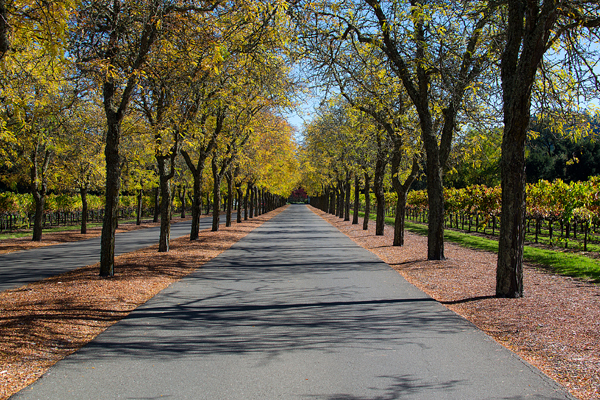 By mid-afternoon (which felt more like late afternoon, since we had just set the clocks back the day before), the colors in Napa Valley were unbelievable. Every shade of green, yellow, orange, red, and purple blended together under hazy, golden rays of sunlight — these pictures don’t do it any justice at all. 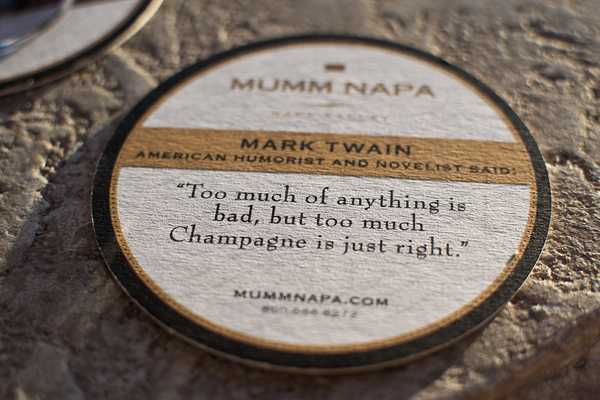 I also wanted to visit Mumm Napa because, well, let’s just say I’m in complete agreement with Mark Twain. =) These coasters were too cute. There were about six different ones, each with a different champagne-inspired quote. 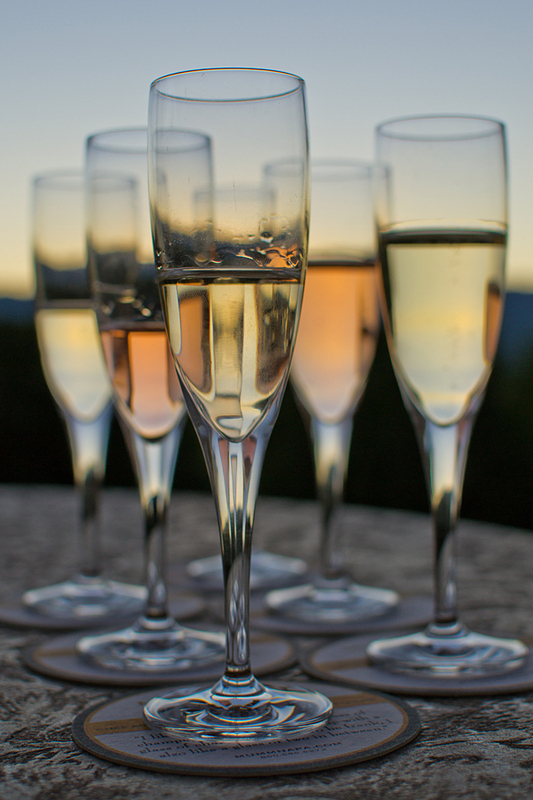 Once seated on the patio, we tasted six more sparklers at sunset, this time learning how subtle, yet noticeable differences in the taste and texture of sparkling wines can result simply from the length of time they age. 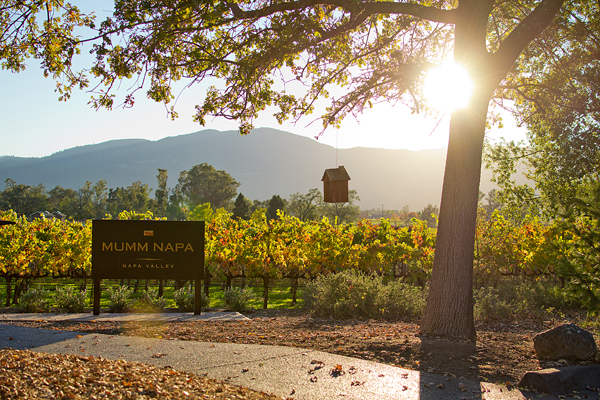 The views at sunset were perfect, and the favorite we chose to purchase at Mumm Napa was the Cuvée M.
After three wineries in one day, we checked into the Napa River Inn, a locally-owned, boutique hotel in Downtown Napa. We had grand plans to take a nap and head out to dinner, but after sinking into the most comfortable bed ever, I was ready to crash. 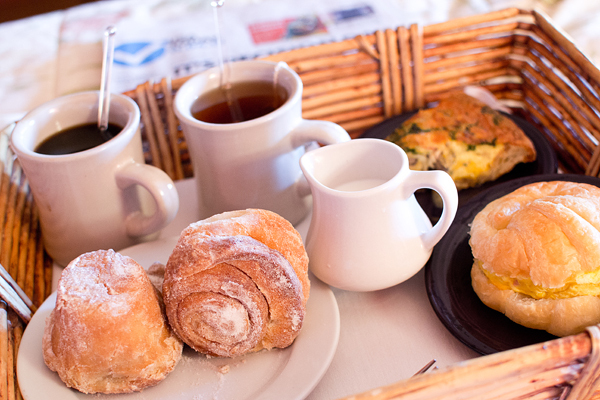 We woke the next morning to breakfast in bed, compliments of Sweetie Pies Bakery next door — quiche and coffee for me, croissant sandwich and tea for my mom, and morning buns all around. What’s a morning bun, you ask? Yeah, I had no clue either, but it was delicious. 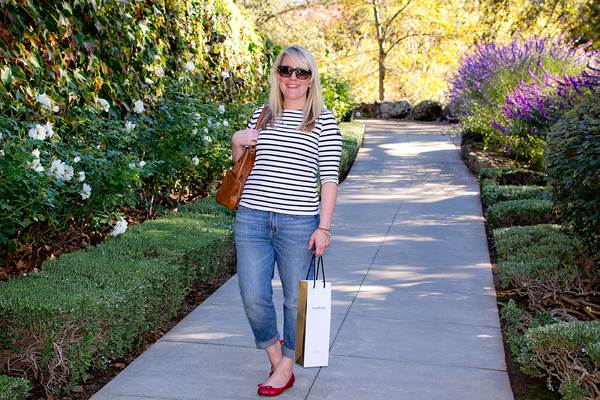 We spent Tuesday morning exploring downtown Calistoga before heading to Sterling Vineyards just after lunch. 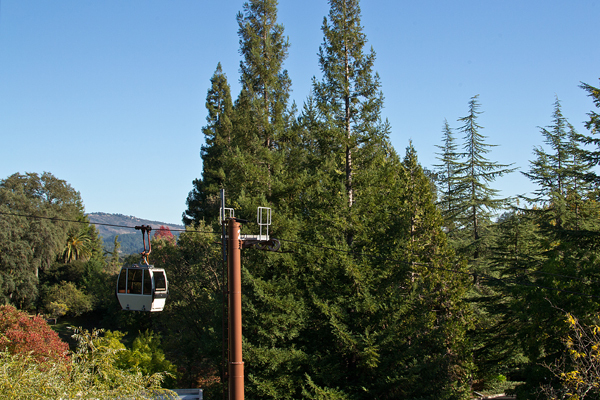 My mom chose Sterling because she read about the stunning views from the solar-powered tram ride you take to the winery at the top of a mountain. Clearly, she forgot about my motion sickness, slight claustrophobia and panic attacks during our ride in a pod to the top of the St. Louis Arch when I said, “I don’t ever want to do anything like that again.” But, there I was, dangling from a cable in a tiny metal box that was about 95 million degrees in the blazing sunshine with nothing to hang on to… Luckily, there was a glass of pinot grigio in my hand less than three minutes after we left the base of the mountain. 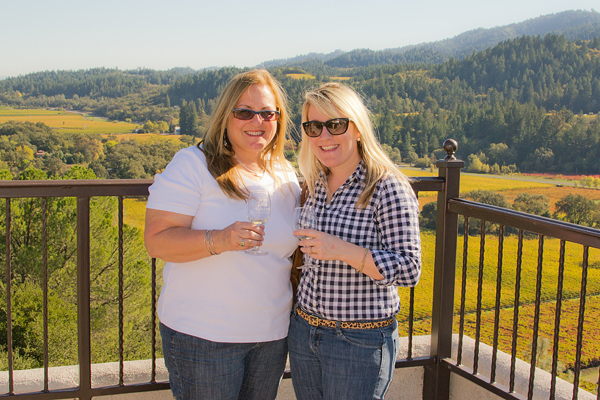 So, I suppose it was worth it — the wines and the views were sublime. 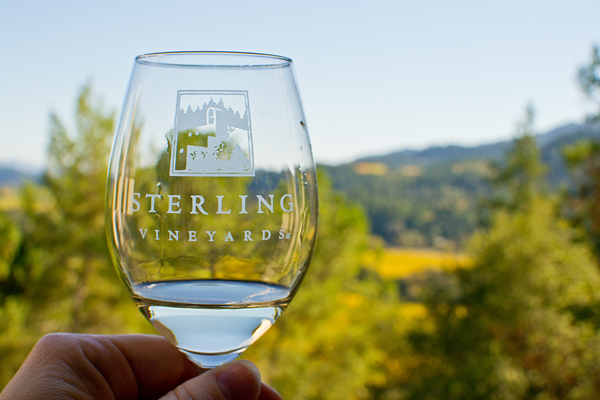 At Sterling, we took a leisurely self-paced tour of the winery, receiving tastes of six different wines along the way. 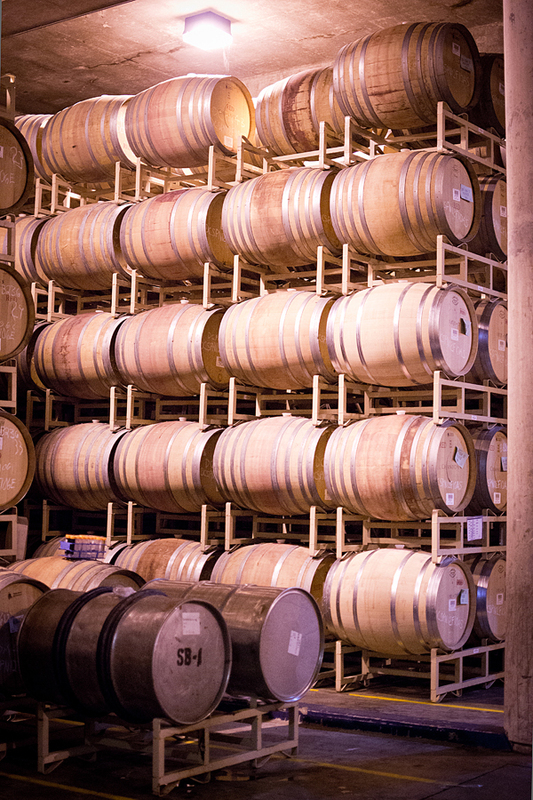 The cool thing about this winery is that it was built to cater to visitors. 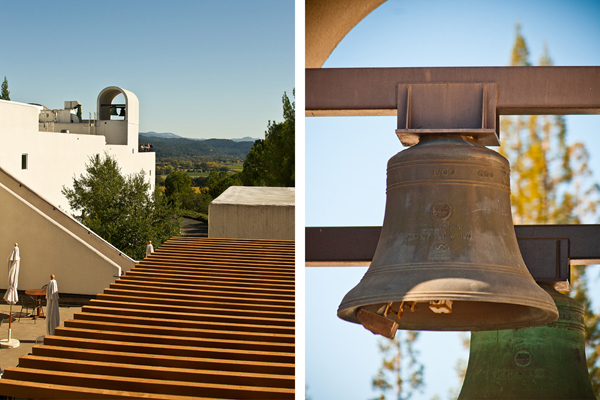 The Greek-inspired architecture and white stucco were beautiful and unexpected, and walkways and terraces offered brilliant views of Napa Valley in all directions. My mom (having recently traveled to London) took a particular interest in winery’s eight bells from London’s Church of St. Dunstans-in-the-East, whose tolling can be heard down through the valley on the quarter hour. 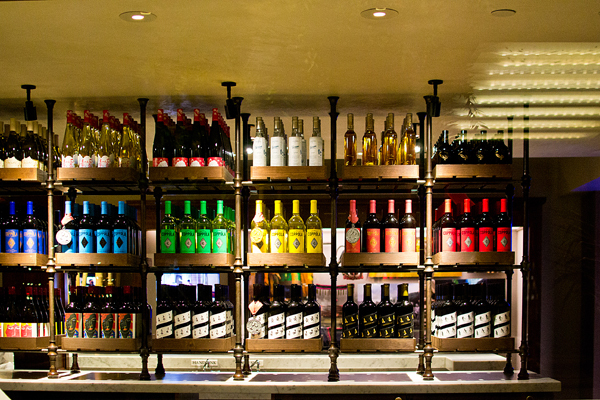 Let’s take a little break from all this wine talk. Let’s talk about the Old Faithful Geyser of California. My mom convinced me to go see this geyser by falsifying information — she said it was 16 feet in diameter and would shoot champagne more than 30 yards into the sky! Actually, I’m kidding. She didn’t say that. She said they had Tennessee Fainting Goats, which they did, but unfortunately, they weren’t frightened enough the geyser (or me) to topple over for my entertainment. After we left the geyser, we took a long, winding drive over the mountains to Geyserville (which is about an hour from Downtown Napa) was to have dinner at the Francis Ford Coppola Winery. (Note: The geyser was not in Geyserville. 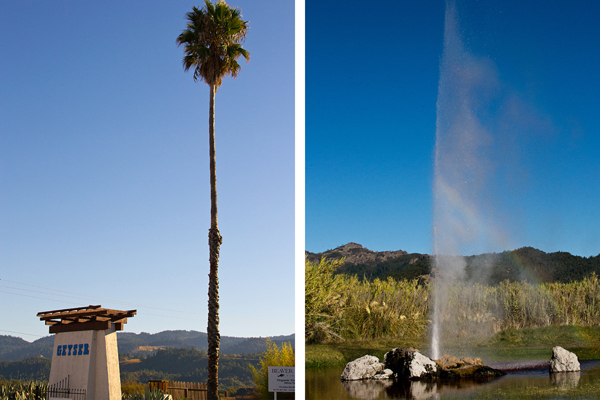 The geyser was in Calistoga.) 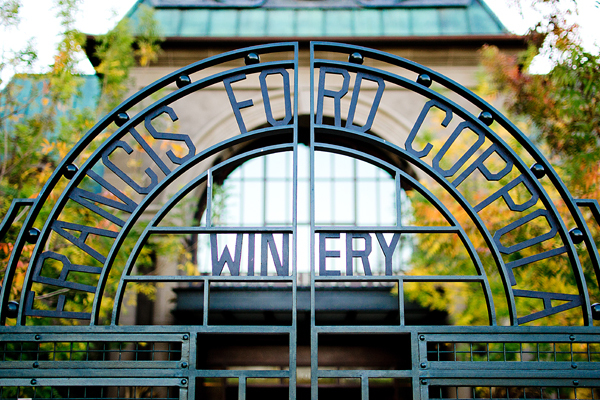 Our visit to the Coppola winery was another result of our lack of planning (I made the dinner reservations without looking at a map); however I’m extremely glad we went because it was one of my favorite parts of the trip. 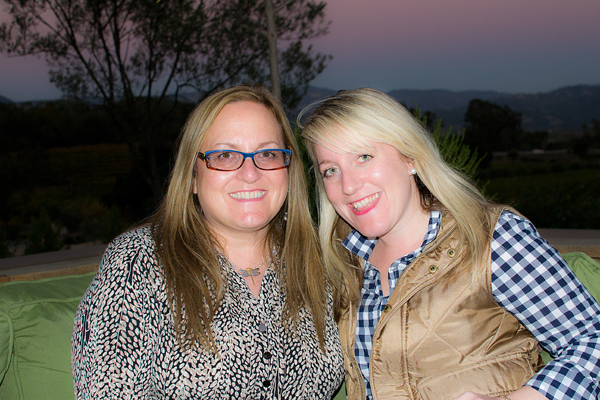 We arrived at the Coppola property around dusk. 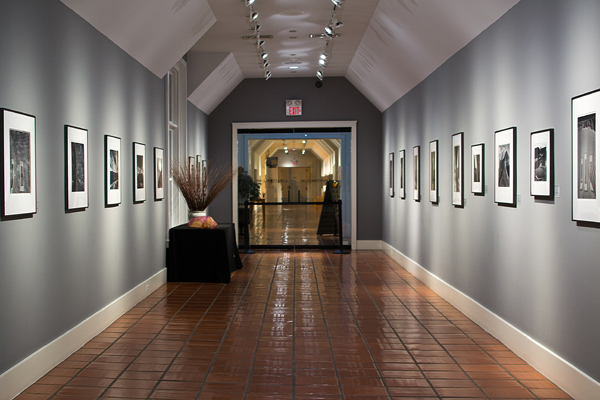 It was a little too early for our dinner reservation at RUSTIC, so we roamed around the property until the sun went down, and then we headed inside to browse the gift shop and the movie gallery. 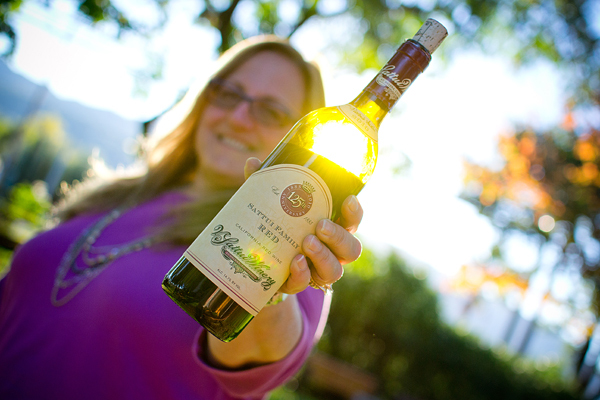 The winery holds a collection of fabulous Coppola movie memorabilia, including Don Corleone’s desk and the original script from The Godfather, costumes from Dracula, and model ships from Sofia Coppola’s film, Marie Antoinette. 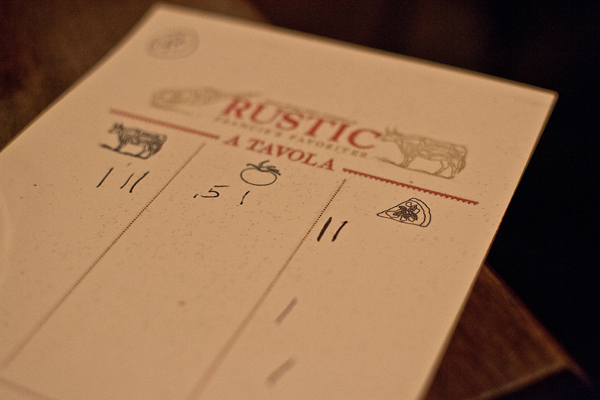 One of the best things about this trip’s schedule being shifted around (because of Hurricane Sandy) was the fact that we ended up in Napa Valley on a Tuesday because Tuesdays just happen to be A Tavola night at RUSTIC, which was our main reason for visiting. A tavola means “to the table” in Italian, and our meal worked like this: The waitstaff came around with serving dishes full of salads, appetizers, pastas, pizzas, meats, seafoods and desserts, and we chose what we wanted to eat. It kind of reminded me of tapas or dim sum, but with Italian food. We sampled at least 10 different dishes, all of which were completely different from anything on the normal RUSTIC menu. My absolute favorite dish was a braised short rib and blue cheese ravioli — amazing! The Francis Ford Coppola Winery produces more than 40 wines, but in keeping with the sparkling theme of our trip, I opted for the Sofia Blanc de Blancs with dinner. To top off the night, who showed up for a drink at the bar? None other than Francis himself! I’m not annoying enough to ask celebrities if I can get a picture taken with them, but I did have a chance to introduce myself, shake his hand, and tell him that his movies, his wines and his restaurant are excellent. I hope you enjoyed this post and were able to get some useful information out of it. 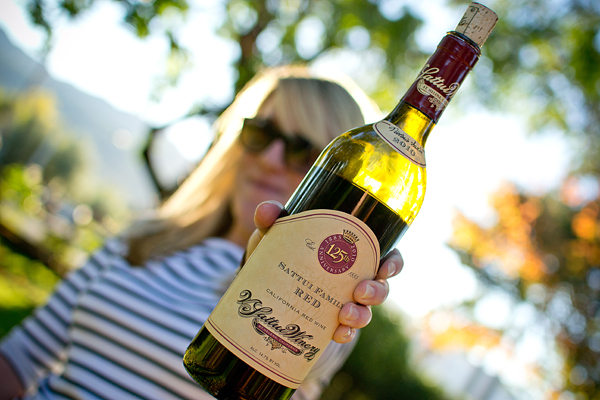 I’d love to visit Napa again sometime. Have you been there? 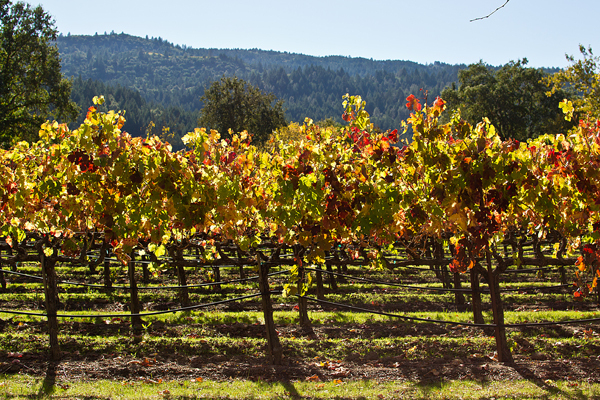 Do you have any favorite wineries I should add to my list for next time?